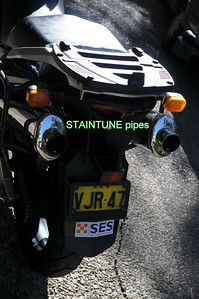 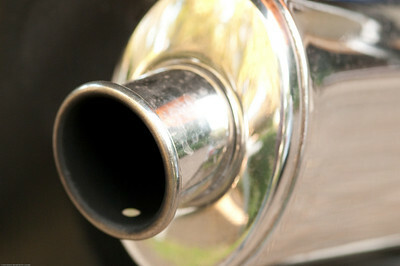 Staintune pipes plus original included free. 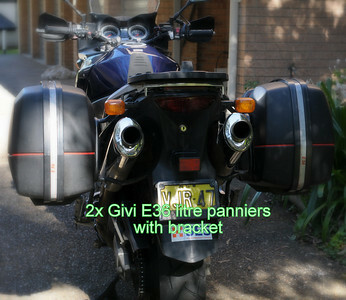 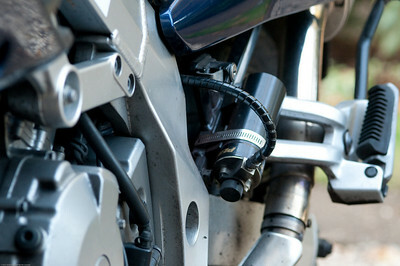 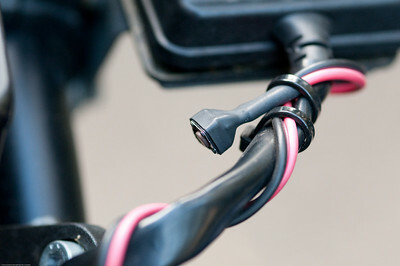 Givi top box mounting plate also included. 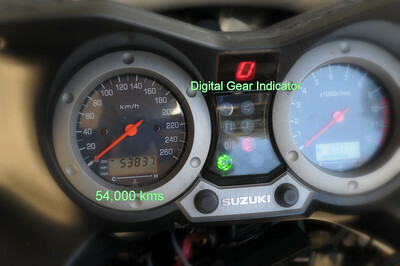 After market Digital Gear Indicator. Also note genuine milage. 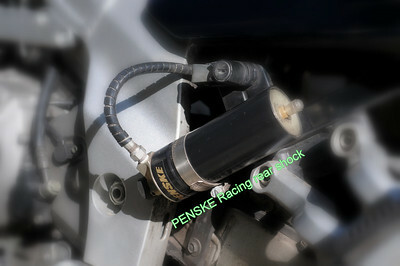 Penske Racing remote reservoir for rear suspension. 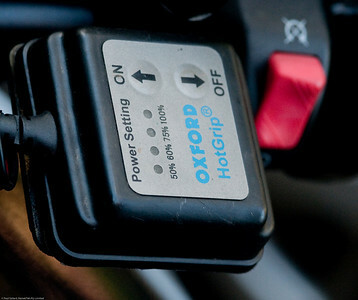 Cut-out at bottom of screen provides less turbulance. 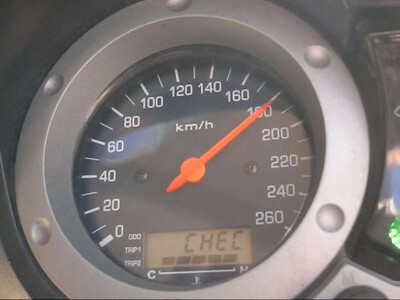 Speedo Healer re-calibrates speedometer to 1% accuracy, and also shows max speed since last reset. 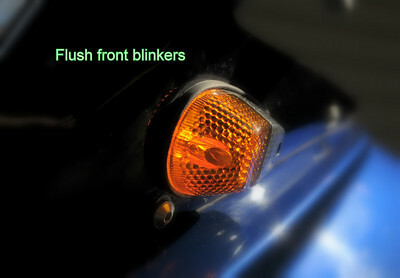 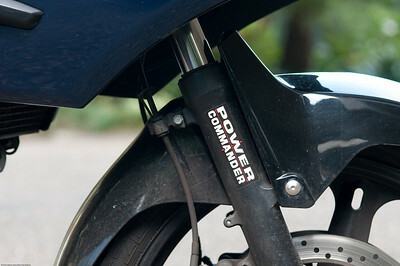 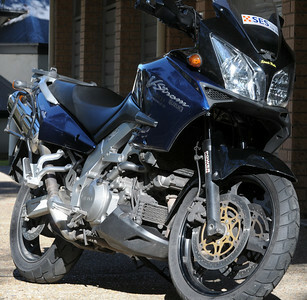 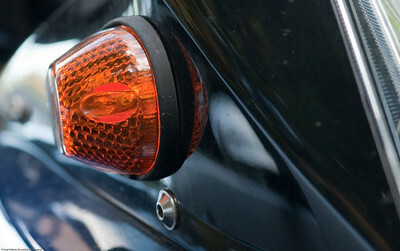 Front blinkers replaced with stylish flush mount design. 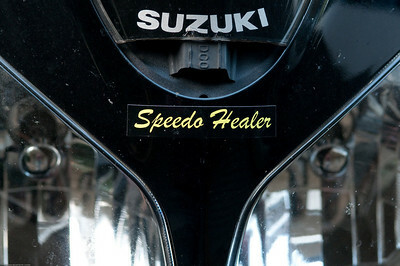 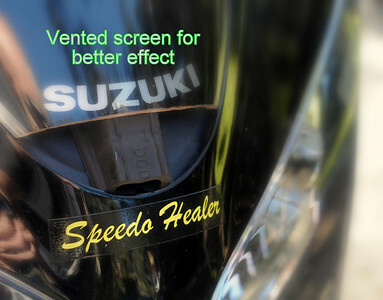 Play movie to see how the Speedo Healer, displays the accurate max speed reached since it was reset.